Losing 3-1 to Manchester City is far from the worst thing in the world, but it’s the manner of this defeat that is maybe starting to send Arsenal fans crashing down to earth a bit as the Unai Emery honeymoon period comes to a close. The Spanish tactician looked a shrewd appointment this summer when he became available after leaving Paris Saint-Germain, supposedly giving a hugely impressive interview that made him the unanimous choice over other candidates. Still, it’s one thing selling your vision in an interview situation, but it’s quite another to make it work in arguably the most competitive league in the world, and so far there’s little evidence of whatever Emery is trying to do working at all. It will no doubt take a bit more time, something he is perhaps more likely to get at Arsenal than elsewhere, but the early signs are not really as encouraging as comparable projects at Liverpool and Tottenham. Maybe this is harsh, since even Jose Mourinho liked Mesut Ozil. But this odd preference for a rather old-fashioned, direct game with two strikers but no creators in the team (but three on the bench in the form of Ozil, Aaron Ramsey and Denis Suarez yesterday against City) doesn’t seem a workable long-term plan. The most successful managers in the modern game have essentially taken what initially made Arsene Wenger successful at Arsenal and intensified it, so for the Gunners themselves to pick a manager that moves them away from that style altogether is odd. Mourinho has been found out in recent years for his football basically not being sophisticated enough in the final third any longer, and at the moment there looks to be far too much of that in Emery’s style as well. While this might work reasonably well at a club like Sevilla trying to punch above their weight, it won’t wash with Arsenal fans, and most likely won’t be what gets them back to where they want to be. On top of that, this bizarre desire to freeze Ozil out of the team is all to reminiscent of Mourinho mindlessly picking fights with the likes of Paul Pogba and Juan Mata in recent years. There seems little strategy or logic behind it, and the team is just weaker as a result. Say what you like about Mourinho, but even now his teams don’t tend to ship five in such calamitous fashion as Arsenal did at Liverpool in December. That defeat was worryingly Wenger-like in the way Arsenal somehow crumbled so quickly despite a decent start that saw them take an early lead at Anfield. That lead lasted barely two minutes, and once Roberto Firmino equalised, you could just see the floodgates open. Within moments, it was 2-1 to Liverpool and Arsenal were just never going to get back into it. For a man who supposedly obsesses over organisation, scouting the opposition and using video analysis on his and other teams’ players, it’s remarkable that Arsenal’s defence is still such a mess. With Wenger, you could just about see that this was a side effect of the Frenchman’s desire not to over-coach his players and allow them to play with instinct and freedom. But if Emery is the polar opposite of that, this seems like one of the first things he should have worked on. Of course, players like Shkodran Mustafi and Sokratis Papastathopoulos don’t make his job any easier, but Arsenal have conceded more goals away from home this season than Cardiff City. There’s no excuse for them not to be at least a bit better than this. Perhaps this is the route of most of the problems – Emery has changed his personnel and formation so many times this season, it maybe isn’t that much of a surprise that his players look like they don’t know what they’re doing. Say what you like about Wenger’s tactical rigidity, it did at least mean you could count on Arsenal sorting themselves out eventually once they got their confidence back or a bit of luck on their side. After just a few games for Jurgen Klopp at Liverpool or Mauricio Pochettino at Spurs, it was fairly obvious what they were trying to do. Maurizio Sarri, for all his faults, has also adopted a clear philosophy at Chelsea that he won’t stray from. In just ten games in charge, Ole Gunnar Solskjaer has made a clear mark on Manchester United, playing to the strengths of his players in a way that Mourinho almost point-blank refused to. Emery is not expected to be a miracle worker, but after close to ten months in the job, the lack of a clear vision at the Emirates Stadium is a real worry. 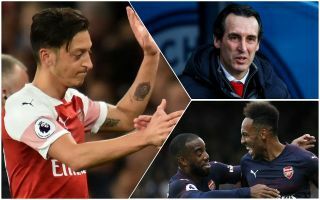 Was Unai Emery the right pick for Arsenal manager?